Custom badge-shaped stickers help build Police-Community relations! Encourage your students to follow rules and stay safe with these gold or silver foil stickers. 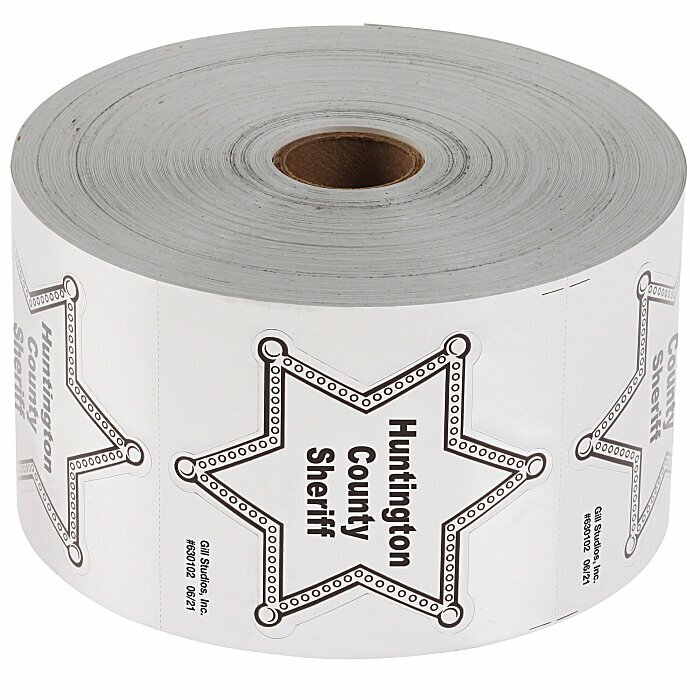 Each sticker peels off the roll with ease for appointing your new junior sheriffs. They’ll love making believe they’re sheriffs, and you’ll love the additional reinforcement these stickers give to your message. These stickers are perfect for safety awareness campaigns, job fairs, DARE programs, fundraisers, guest tours, and election campaigns. Provided with 1,000 labels to a roll. Your price includes a one-color imprint on the top of the sticker, within the stock imprint.